Welcome to the Bureau of Alcohol, Tobacco, Firearms and Explosives (ATF) in Detroit, Michigan. Our Division has the responsibility of enforcing the Federal laws and regulations that fall under ATF jurisdiction throughout the State of Michigan. Read more about the Detroit Field Division. 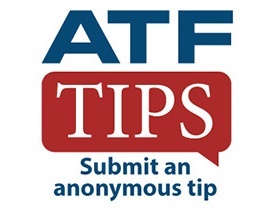 Text the code ATFDET to 63975 and then follow the link to create a report.